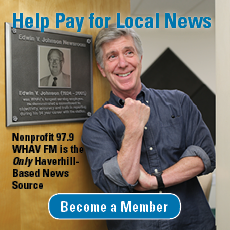 The race for Haverhill City Council is heating up! 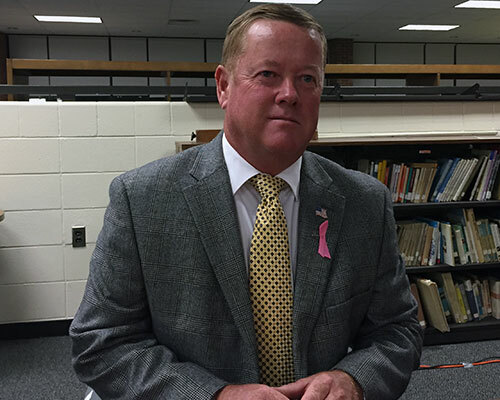 Ahead of Nov. 5’s municipal Election Day, current City Councilor Timothy J. Jordan is kicking off his bid for re-election with a campaign event this week in downtown Haverhill. From 5:30-8:30 p.m., Jordan plans to meet and mingle with supporters at The Peddler’s Daughter, 45 Wingate St., where there will be complimentary appetizers and a cash bar. 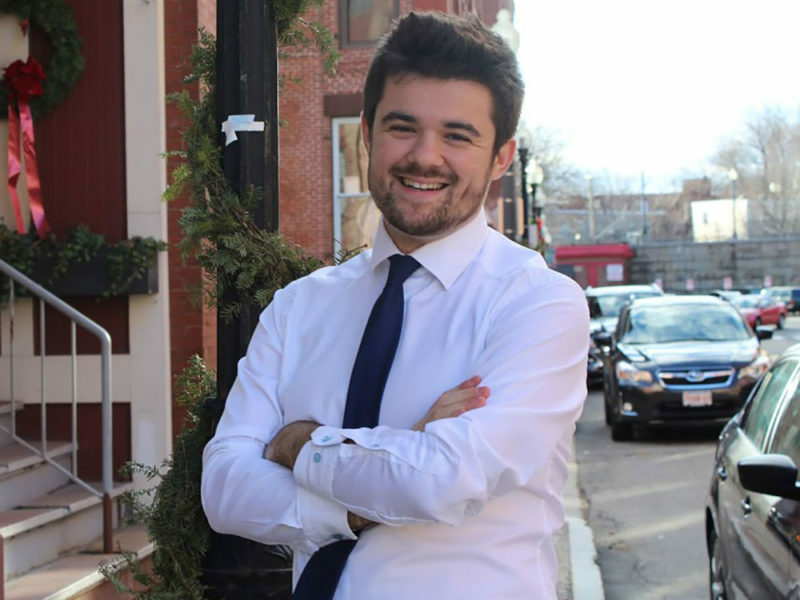 Jordan joins his fellow eight Council colleagues in this year’s race, along with newcomers Nick Golden, Doug Edison and Joe Sherlock. Voting places in areas of the city that are not within the Third Essex State Representative District have been marked with signs indicating voters in those areas will not participate in Tuesday’s special primary election. 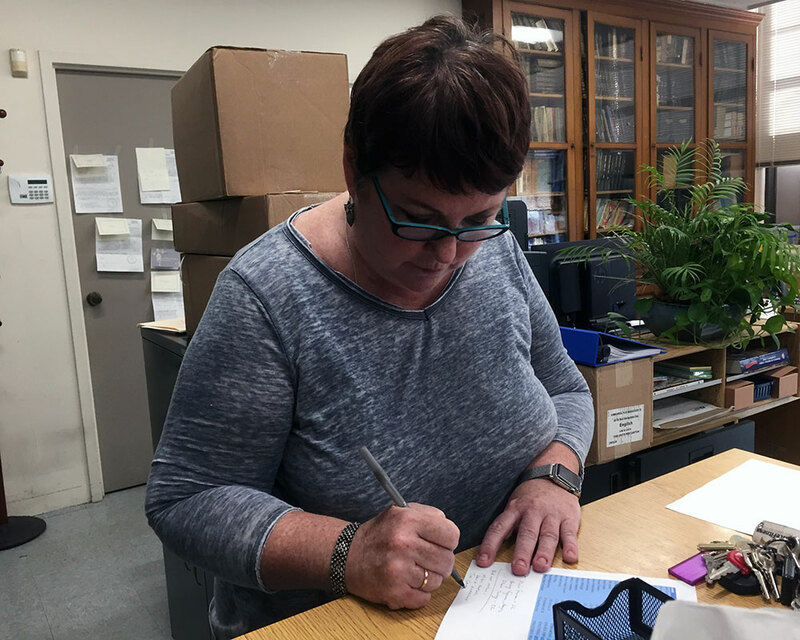 Haverhill City Clerk Linda L. Koutoulas’ office took the unusual step after being flooded with calls from Bradford, parts of Riverside and the Lake Street area about where to vote. The district formerly represented by Rep. Brian S. Dempsey does not include any of Bradford, Ward 4 Precinct 3 or Ward 5 Precinct 2. Two candidates, School Committeeman Paul A. Magliocchetti and City Councilor Andy Vargas, appear on the Democratic primary ballots while School Committeeman Shaun P. Toohey is the only candidate on the Republican ballot. 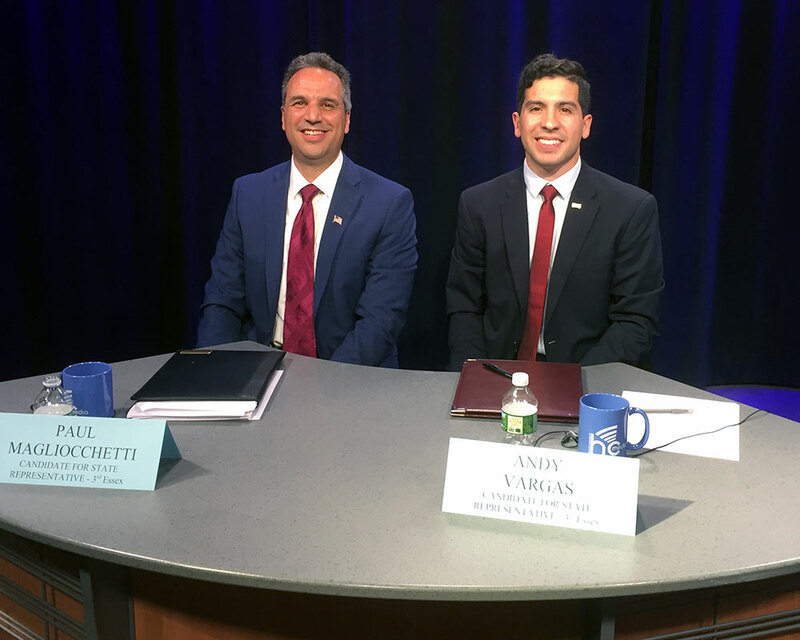 School Committee member Paul A. Magliocchetti, left, and City Councilor Andy X. Vargas are competing for the Democratic nomination for the 3rd Essex District seat in the Massachusetts House of Representatives. 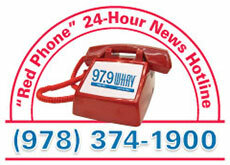 Hear the candidates themselves during Local News on 97.9 WHAV FM, every half hour between 6 a.m. and 6 p.m. 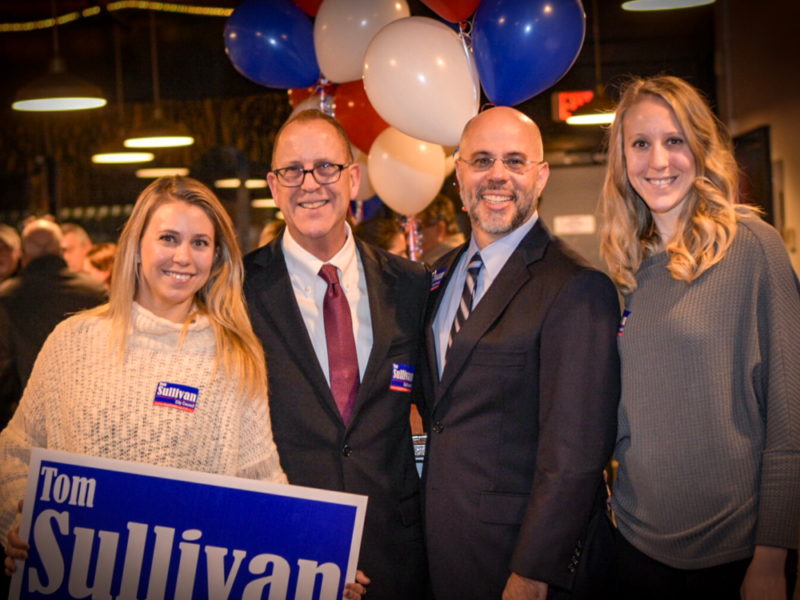 The two Democrats hoping to occupy the 3rd Essex District House seat recently vacated by Rep. Brian S. Dempsey did their best to persuade voters Monday that they have what it takes to replace the veteran lawmaker. Haverhill Democrats will vote on Tuesday, Oct. 10 to choose a candidate to compete against Republican Shaun Toohey on a Nov. 7, in a special election that coincides with the city’s municipal election. 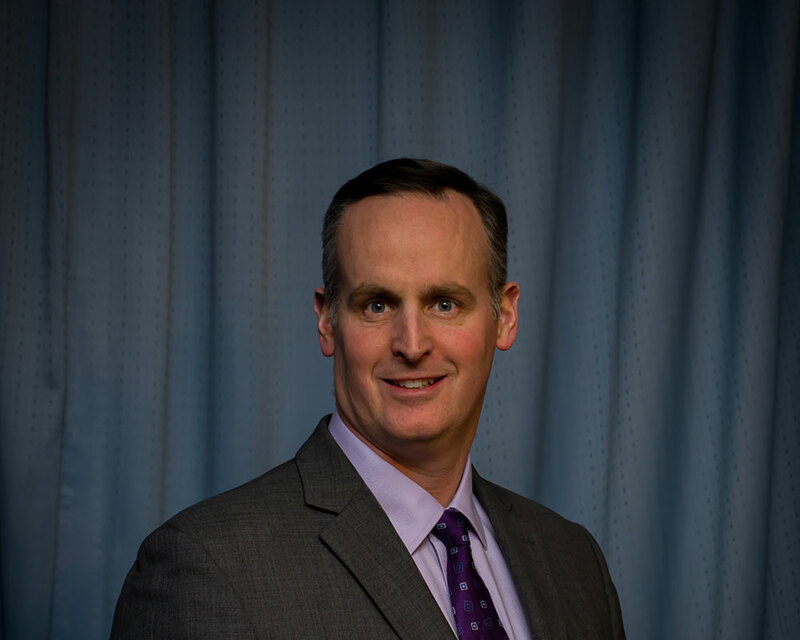 Councilor Colin F. LePage pointed out it will be the first time in 30 years that city councilors will receive a pay raise. 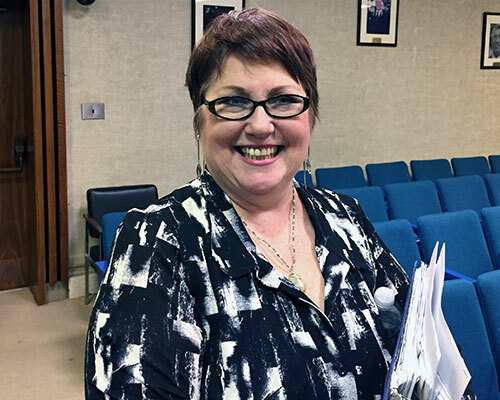 “After 30 years, we deserve a small increase,” said Councilor Mary Ellen Daly O’Brien. 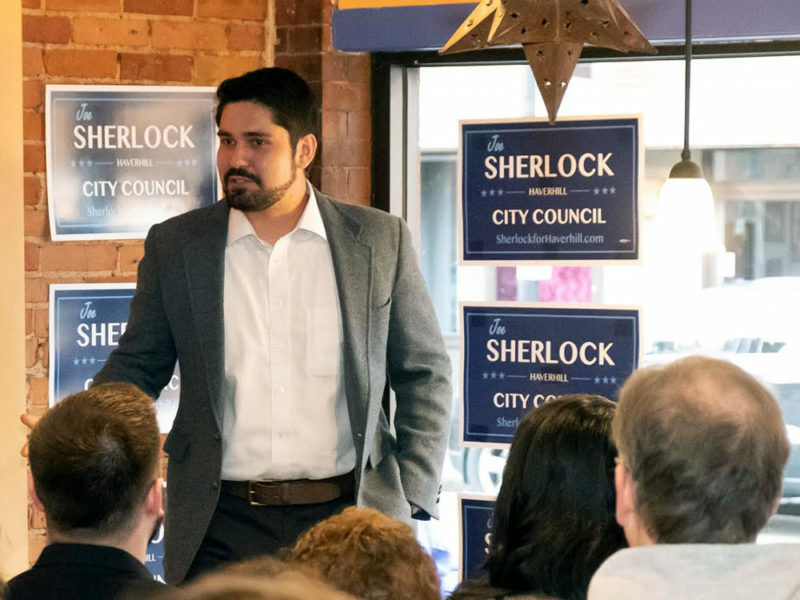 Could the potential for a bigger payday inject new interest in the mayor’s race this fall? On Tuesday, a proposed ordinance will come before the City Council that would increase the mayor’s salary by $20,000—to $110,000 from $90,000. It would raise councilors’ salaries as well, but by a lesser proportion. The council meets beginning at 7 p.m. in the Theodore A. Pelosi Jr. City Council Chambers on the second floor of Haverhill City Hall. The meeting is open to the public. Hassan Delcares Victory With Razor-Thin Edge in U.S. Senate Race in N.H. The Democratic candidate in New Hampshire’s U.S. Senate race, Gov. Maggie Hassan, is declaring victory in the neck and neck, unofficial vote count against incumbent Republican Kelly Ayotte. At a news conference late Wednesday morning, Hassan indicated with as much as 99 percent of precincts reporting, she holds a minimum 600 vote lead over Ayotte. “This morning, there are only a few small towns left outstanding and I hope these remaining votes are quickly recorded. When they are, we are confident that our margins are large enough that we will maintain our lead. 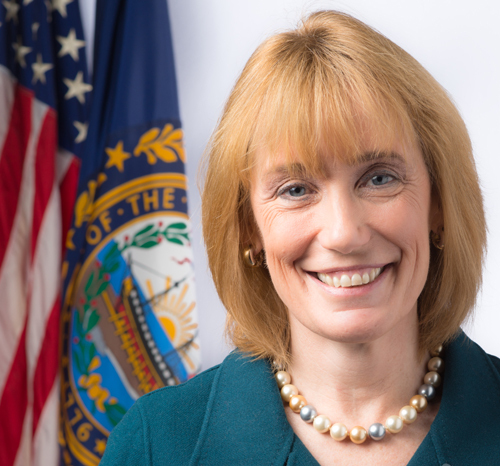 I am proud to stand here as the next United States senator from New Hampshire,” Hassan said. 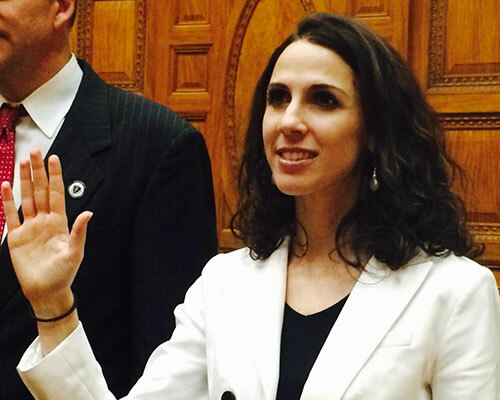 State Rep. Diana DiZoglio, who represents the Bradford section of Haverhill, is one of two local lawmakers running unopposed in today's election. The other is state Rep. Brian S. Dempsey. Turnout this morning at polling places in Haverhill, for today’s presidential election, was “brisk and steady,” according to the Haverhill city clerk’s office. Morning commuters were among the first to turn out when polling locations for the city’s 21 precincts opened at 7 a.m. Polls will remain open until 8 tonight. 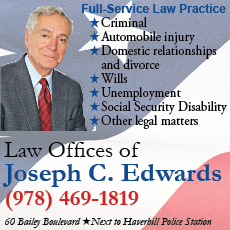 Voters will help decide races up and down the ballot, from the next president to the next Essex County sheriff. 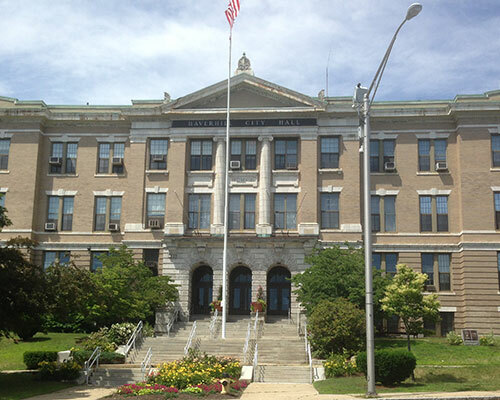 Haverhill High School is one of several school buildings used as polling places on Election Day. 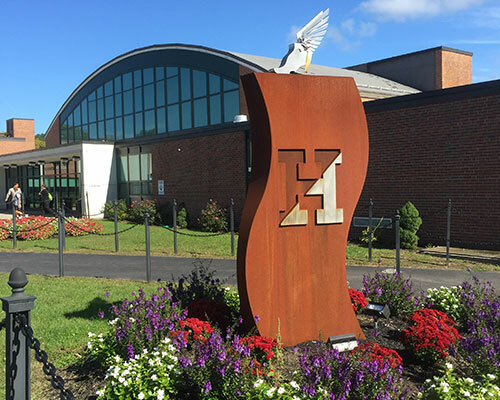 While Haverhill voters Tuesday head to polling places, Haverhill public school students will have a day off from classes and the school department makes way for a professional development day for school staff. 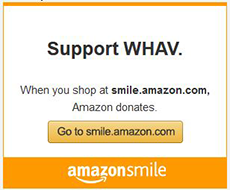 Haverhill Assistant Superintendent of Schools Jared Fulgoni explained to WHAV Monday with people coming and going to vote at several normally busy schools it made sense to hold a staff professional development day in place of classes. “When we lay out the school year calendar, we try to tie professional development to non-school days,” Fulgoni said. Meanwhile, voters Tuesday in greater Haverhill and beyond will, in addition to the presidential race, decide a handful of contested lower races for state offices including Essex County sheriff. The line of Haverhill voters waiting Thursday evening to cast an early ballot in the presidential election stretched from the basement of City Hall to the second floor. By the time the temporary polling place in City Hall’s basement closes Friday at 4 p.m., more than 15 percent of the city’s 46,516 registered voters will have cast ballots. City Clerk Linda L. Koutoulas, overseeing her first Haverhill election, declined to predict turnout for Election Day on Tuesday, Nov. 8, but said judging from surrounding communities’ expectations, as much as 80 percent of the city’s electorate could come out to cast ballots. 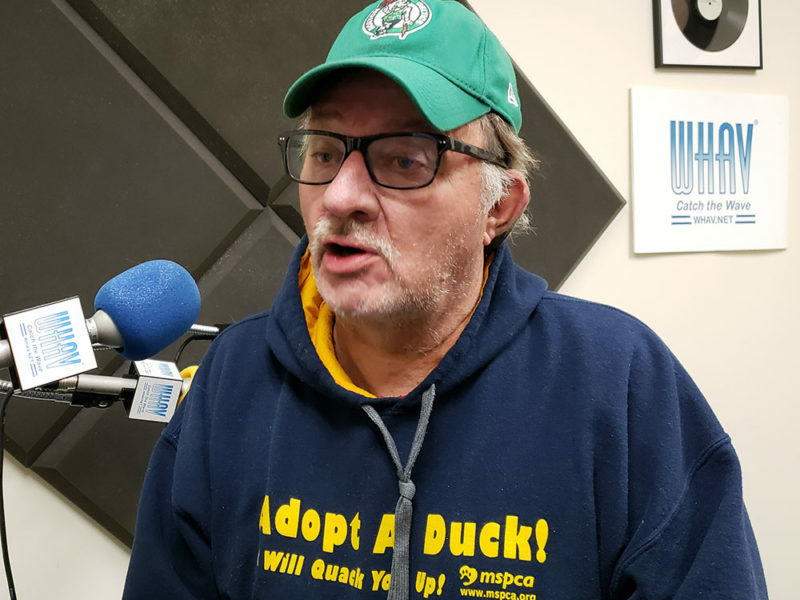 Koutoulas told WHAV Friday that 7,017 voters, or 15.1 percent, had cast ballots by 11 a.m., with five hours to go before the end of early voting.